We have lots more lights, a bath panel, latches on the cupboards and a free draining bath today along with more skirting and plywood on the upstairs bathroom floor. 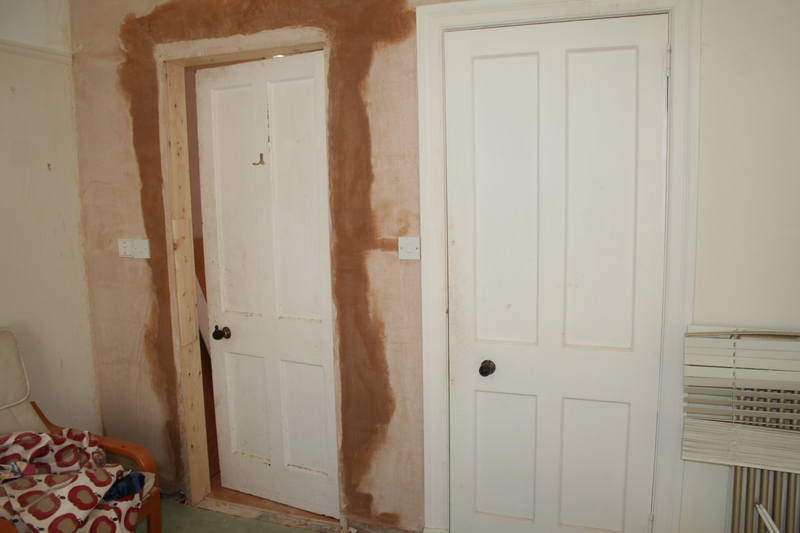 The door to the ensuite has also been installed which looks good, despite the plaster still drying. That’s it today, got a poorly F who’s been sleeping all day at home with his Dad. I’m hoping he’s a bit better tomorrow after a good night’s sleep – it’s horrible when they’re ill.